Yesterday, 31st July, was the world rangers day. For me, it's a day dedicated to one of the most neglected and unsung heroes of our time: forest rangers. 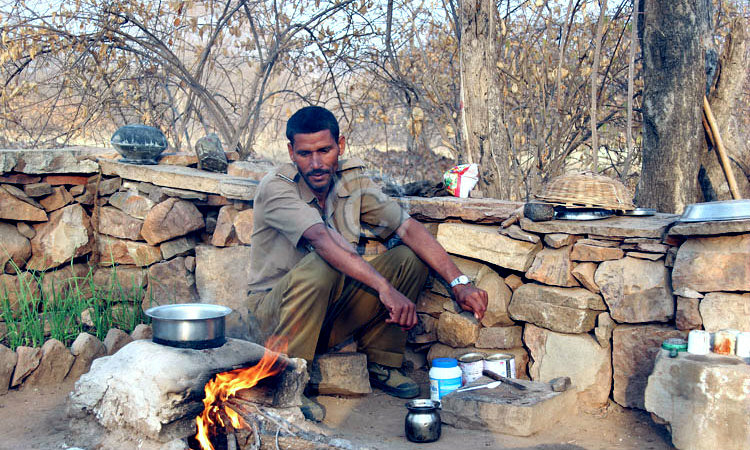 Since in India 'ranger' usually refers to the top post in forest security force which is a privileged one, let me therefore mention it as the world forest guards day. This post is about them. Assam of course is the gateway to the north east region, also the biggest state with a number of national parks including Kaziranga -the home of the one horn rhino. Because of the high demand of rhino horns in the international black market, Kaziranga's also a high target of the poachers who are armed with very sophisticated weapons such as AK-47. And until now - 2013 - all our guards there had was age-old guns (.315 rifles) that are no match for the poachers. So, as their back up system they had two things: courage and despair. 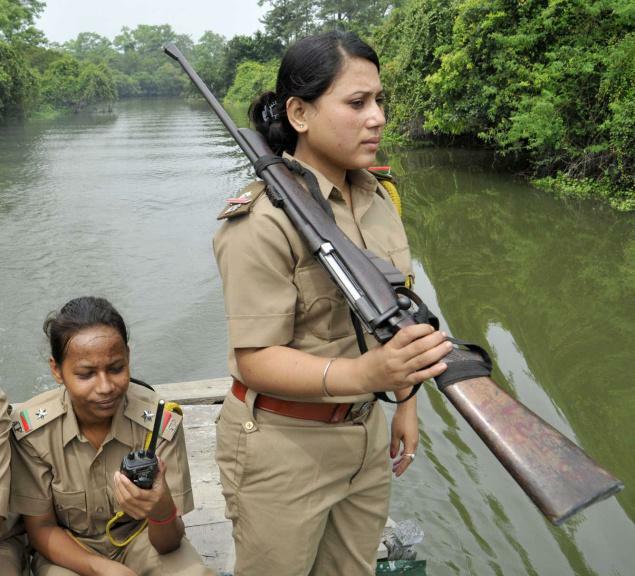 Now, usually, the forest security force in India is all-male. But in Kaziranga, there are also women guards, braving along with their male colleagues, the band of dirty, armed and ruthless poachers. But of course, we barely hear of them. What we hear is the news of a poaching. What we don't is how under-equipped these women and men are and how many attempts of poaching they thwart every now and then. They are still lucky. Some don't even get paid in time. The forest guards of neighboring seven sister state Tripura, for example. In 2012, the guards went seven long months without salary. Reason? The government was having a cash crunch. Imagine that: going out every day in the forest, walking kilometers (yes, most our forest guards do not have the luxury of moving in a vehicle) - that's a privilege for the top officers) a jeep not knowing whether you will be returning home safe or with a gun shot injury and above that, not even having your salary. And we don't hear of them either. But for a tiny, 2-column report in a local media, I wouldn't have known of their plight either. But, the woes of the forest guards of India are not confined to one region. From Kashmir and Himachal Pradesh in the north to Karnataka and Tamil Nadu in the south - they are always in danger of getting direct confrontation with either poachers or other local evils. One of those local evils is of course the Maoist rebels who run their training camps from within the forests and of course do not like to be disturbed by anyone. A friend of mine - a who is an expert in monitoring tiger's movement - was working in Kudremukh - a national park in Karnataka. Every week we would speak and every week he would tell me about Maoist rebels hiding in the forest who threatened him to stay away from the forest. 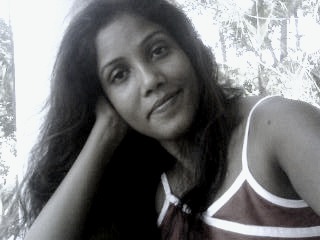 Now, thanks to politics, the government, till date, hasn't admitted that there is a Maoist presence in Karnataka. This means, my friend could not officially ask for safety measures because the threat itself didn't exist officially. If anything happened, it would be attributed to something else. I have met so many other forest guards in Chhattisgarh - a stronghold of the Maoists - who have shared a different story altogether. Besides regular patrolling, the guards are also duty bound to map and measure a number of things including wildlife, specific animals and forest area. Maoist rebels, on the other hand,perceives great threat in the human movement deep inside the forest. In fact, the list of the threats and dangers faced and tackled by the forest guards is quite long and goes far beyond armed rebels and poachers. It includes sandalwood smugglers, illegal loggers, land mafia, land encroachers and at times, nomads. How do they work every day, being surrounded by all these? You can use a little imagination here. There was a time, let’s say, in the olden days, when Bollywood used to show their heroes in a forest ranger's garb. Raj Kumar in the famous romantic film Pakeezha is one of them. Today, we don't even have that. Probably the film makers find it extremely hard to see anything romantic in a role that requires defending an entire forest with outdated weapons? After all, Bollywood loves glamor and glitz! The government of India is presently pursuing a Green India Mission (GIM) which aims to increase the country's forest cover to 33% from 20% within 10 years. This means, added work and responsibility for the forest guards. Should it not then also include adding a little more teeth to their defense system - like weapons, gear and advanced training that will enable them enough to take on the dreaded armed enemies? Meanwhile, in Assam, where I had started my story from, 83 forest guards lost their lives on duty in past 4 decades. (Now, the data I am citing is of up to 2009, so the number would be even higher today.) How many others have died all across the country? How many die every year worldwide? More importantly, how many do we hear of? Not many, I have to confess. Yet, in this age of climate change, fast decreasing wildlife population and thinning forest resources, they are the ones keeping on a battle to win it for us. I salute to each of those invisible soldiers. Will you, too?